This year’s International Women’s Days Campaign theme is ‘#balanceforbetter’.They’re trying to determine how we can create a more gender-balanced world. Celebrating women’s achievements, raising awareness against bias and taking action for equality. We took a look at some inspirational moments from the past few years which have helped towards gaining gender equality. 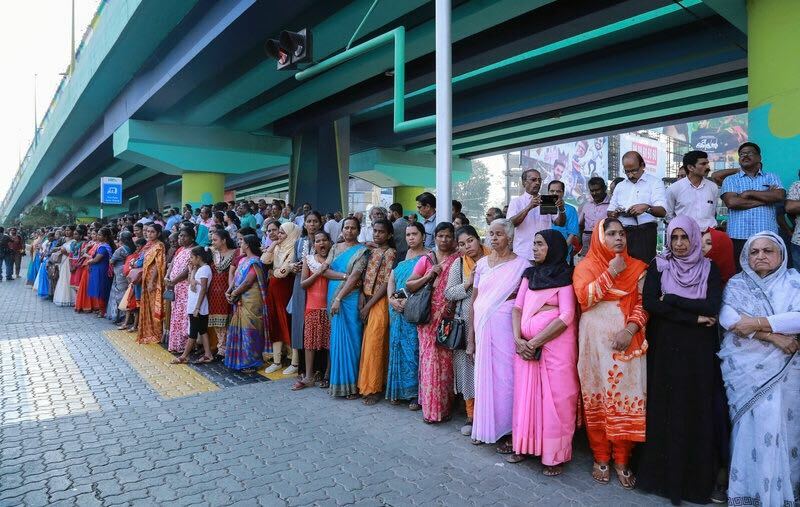 Just two months ago, one of the biggest movements towards women's rights in India occurred when 5 million women lined up across the length of the southern state of Kerala to ‘uphold Renaissance values’. They were fighting to put an end to violence against women trying to enter Kerala’s Sabarimala temple, a popular Hindu pilgrimage site. Since 1991, the temple had accepted only men and older women, sometimes in their millions every year to preserve the beliefs of the ruling deity, Ayyappa. In India’s supreme court in September, they ruled that the temple’s doors must be open to women of all ages- an awful blow to religious tradition. “Where a man can enter, a woman can also go. What applies to a man, applies to a woman,” the bench said in its judgement. An overwhelming number of revelations about powerful men abusing women lead to the #MeToo movement back in 2017. It pushed activists to demand deeper social and political change and to gain movement towards electoral victories. More than 200,000 protesters attended the march in New York in 2018 according to Mayor Bill de Blasio to continue with the movement. Just a year after millions of people turned out for the Women’s March to protest President Trump’s inauguration. 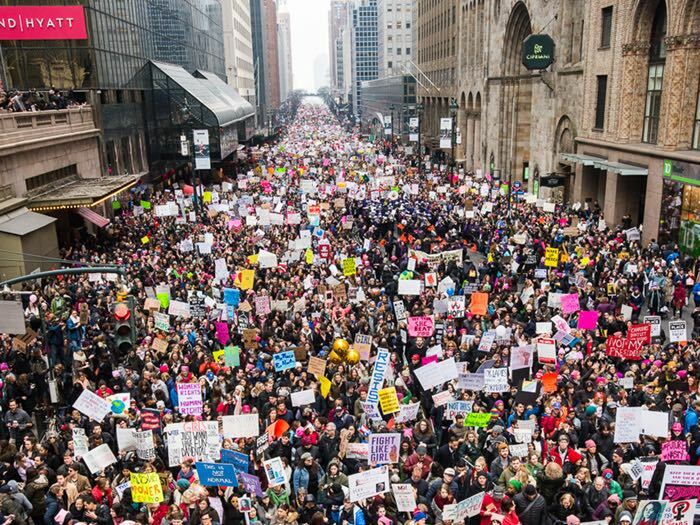 In Los Angeles, it was recorded that 600,000 people attended whilst the organisers of the Chicago march claimed than 300,000 also attended their event. And just yesterday, Nasa announced it’s first all women’s spacewalk later this month, 35 years after a women first took place in one. Unfortunately not all of us can do something quite this extravagant but why not let us know how you are planning to mark this International Women’s Day? Since the launch of Instagram TV, there are now three ways for you to post videos onto your Instagram account. Starting in 2016, the maximum length for an Instagram video was 60 seconds. This is perfect as there isn’t even the capability for your video to be too long as it just won’t let you upload it. However, the ideal length of a video on your feed is under 60 seconds- after all, it is supposed to be a photo sharing platform! According to Instagram, stories have increased the time that members spend on the platform. Unlike an in-feed video, Instagram stories can only be up to 15 seconds long, however they do allow you to add as many video stories as you like. So, do you have a story in mind? Break it up into 15 second chunks and make your subscribers click through the entire thing! As of June 2018, video launched a TV channel on their platform. It is recommended that if you are a smaller account with a smaller following you should try to keep your videos on your Instagram TV channel down to 10 minutes. However, larger accounts or verified accounts can increase their video lengths to up to 60 minutes. In comparison to Instagram, Facebook users are used to longer video content. The maximum length for an in feed video is a massive 240 minutes. Despite this, it is said that the most successful videos are on average between 24 and 90 seconds. Similar to Instagram, Facebook stories are videos and pictures which disappear after 24 hours. However, this time videos can be up to 20 seconds long. You can also go live on Facebook- the time limit for this is up to 4 hours. It is ideal if your stream is at least 10 minutes long. Facebook itself states that longer streams work better due to the broadcast attracting more viewers and them having more time to tell their friends. Twitter videos must be no longer than two minutes and twenty seconds. However, like every other platform I recommend you’re mindful of how long your videos are. Twitters very own video about using video on the platform is only 29 seconds- meaning that videos under a minute are generally more successful. LinkedIn was the last platform to jump on the video band wagon, with video only being added in late August of 2017. LinkedIn itself uploaded some ‘best practices’ for videos uploaded to the platform and suggested that videos be kept between 30 seconds and 5 minutes long. Youtube defies all the other rules. Videos on this platform are longer and users anticipate longer video content. People not only watch longer tutorials and how to videos but sometimes entire TV shows on YouTube, so there really is no limit as to how long your content can be (the maximum video length is actually 12 hours!!). According to HubSpot, engagement was highest on videos around 2 minutes in length. However, Wired calculated that the average of the top most 100 videos watch was between 5 and 7 minutes. It is worth experimenting on YouTube. Depending on your audience, a variety of video lengths maybe more effective, so have a play around and see which works best for your channel. Remember, you may have nailed the length of your videos but if the content is not compelling it won’t mean a thing as people still won’t watch it! Why you should be Embedding a Video into your Landing Page! Landing pages are often seen as one of the most important aspects of lead generation. Without them, it would be considerably more difficult for marketers to be able to convert their website traffic into actual leads. Video on your landing pages can be extremely powerful, especially if you’re trying to convey a slightly more complicated concept. Here’s how to make the most out of your landing page videos and some definite no-no’s for you to avoid! It is said to be 50 times easier to reach page one of a Google Search if your web page includes a video. Take the time to research and create clear keywords, titles and descriptions for each of your videos so that the content of your video is clear to users and search engines alike. This ensures your company builds trust amongst your audience and search engines, drastically improving your SEO. Make your video the star of the show, your landing page should be dedicated to the video itself. Limit the copy around the video to avoid distractions for your audience. Videos placed at the top of a landing page are said to outperform videos placed at the bottom of a landing page. Conversions are the goal for your landing pages so you want your audience to be able to do this without any interferences. Keep your videos short. You need them to be long enough to cover all the content needed but do not waffle! Research shows that the longer the video, the less time people will engage with it and the drop off rate will increase. Whilst viewers watch approximately 81% of a 30 second video, they only watch approximately 62% of a 90 second video. Don’t use autoplay. We’ve all had it, you have to scramble through all of your open tabs to find out which site is responsible. It doesn’t allow the user control and will most likely result in the user leaving your site, closing the tab as quickly as possible to stop the noise. This is backed up by the Nielsen Norman group who discovered that 79% of people consider autoplay on a video to have a negative affect on their user experience. Instead, add a call to action at the end of your video. A ‘sign up’, ‘subscribe’, or ‘join free for a month button’ all help people sign up to your offer or proposal. The average person has an attention span of 8.25 seconds. That’s more or less the time you have to grab your audience's attention before they click off the video, or the website. Use the first 5 seconds of your video to entertain your audience and ensure that you continue to entertain and sustain the engagement throughout. Whatever you do, do not fill it with industry based jargon that people won't understand, they will instantly switch off. Videos on landing pages can increase conversions by up to 86%. Your goal isn’t to make the next viral video. Your goal is to get your audience to take action. So what are you waiting for, start thinking about your landing page video today! Where can you get your Video Content from? Sometimes our clients ask what content they should have in their videos, or where they’re supposed to get the content from. So we’ve come up with some content ideas for you to use in your next videos for your business. Do you write a blog? Examine your blog posts and determine which ones resonate most with your audience. With each post you already have a script that people are interested in. You can then turn these blog posts into regular videos to go alongside your blog or as a vlog alternative. Get us to film experiences that you partake in or just everyday activities to let your audience have an insight into how your company runs. Have you been to a networking event? Had an office party? Or a corporate anniversary? Film it! This allows people a good insight into your company’s brand culture, it makes your company seem more human hence instilling an element of trust within your business. Create a video explaining what your product or service is. How will it solve your clients problems? Why is it a must in their lives? Why are you the best people to choose for the job? Or simply just explain how it works. Get us to film you having a conversation with multiple people. Set up a Q&A, answering questions your audience may have or with someone high up in your company to allow them insight into your business. A good interview should follow a set of guidelines but should feel completely unscripted. A well done interview is like a ‘Get Out of Jail Free’ card for your content calendar and at the very least should spark some discussion on your LinkedIn. If you’ve been providing a good service so far, then you should be amassing a large number of testimonials from previous and existing customers that you could use. Organise a free event for your clients to attend and start asking them some questions about your product. Questions such as, what would you tell potential customers who are currently sitting on the fence? Or what are 1 or 2 unexpected benefits you got as a result of our product? Etc. These are good to gather powerful, persuasive testimonials. But these are just a few ideas, we could go on forever as there is compelling video content just about everywhere! Why should you be using video on your LinkedIn? Video is becoming a huge part of LinkedIn’s content. It has been proven that videos increase engagement and effectiveness of sponsored content. But it isn’t just increasingly important for B2B content marketing strategies. It is becoming a progressively versatile content format. You can now share video directly from your phone, you are able to edit videos on desktops, laptops or tablets and upload from these devices and you can link to your content that you are sharing on YouTube and have these play automatically in your feed. Here are our top tips for making compelling LinkedIn videos and how to make them as effective as possible! Post them at the optimum time. You need to ensure that all of your updates, or at least the most important ones are posted between these times to get the best results. On LinkedIn, it is found that the best time to post is generally monday to friday, 8-5pm, or the normal working week hours for your target audience. You should also be posting around 20 times a month. If you post once a day between monday and friday you should manage to cover this. Try posting them at different times on different days and see which posts get the most activity. Think outside the box with your video content. Audiences on LinkedIn are usually busy business people- they don’t have time to spend hours watching loads of videos. You need to make your video seem worthwhile and make it creative so that they stop to watch it! Vary your video content, your audience doesn’t just want another talking head interview. How about sharing a few clips from an event you went to? Filming a quick ‘how to’ guide, so your audience get the most from your product? Having a short clip of some entertaining thing that have happened in the office this week or something that has been relevant in the news? You can get video content from absolutely anywhere, so you don’t need to stick to the same old salesy videos which aren’t making your audience stop and watch! LinkedIn research shows that 91% of members watch videos from their mobile devices and that 57% of all LinkedIn engagement is through phones. This means your videos are far more likely to get better engagement when they are designed to deliver a good viewing experience on a phone. Consider capturing your videos vertically instead, which will save your audience from having to rotate their phones to watch it, again making it more likely that they actually will watch! You have 6 seconds. 6 seconds to make sure the people that are watching your video think it's worthwhile to carry on. 6 seconds to entertain or interest your audience enough to make sure they watch the entire thing. Work in a hook or an offer designed to captivate people and make it seem relevant to them. It has also been discovered that only a third of people watch videos with the sound on so you may want to consider adding subtitles to your video to ensure that your audience are getting the full effect of your video. Possibly most importantly, keep your videos short. How many times have you started to watch a video and checked its length to decide whether it is worthwhile to carry on? I do it almost every time I watch something. Anything longer than about three minutes, I usually decide I don’t have time for. So keep them short and sweet. Like I said nearer the start of the blog, your audience on LinkedIn are likely to be busy business people- they just don’t have the time! Here’s a video advert that I saw on LinkedIn a few weeks ago that I thought was really clever. It’s short (only 31 seconds), it’s relevant to current affairs, it’s funny, engaging and it gets straight to the point. It has nearly 500,000 views on YouTube (at the time of writing) and has been shared and liked copious times on LinkedIn. It has caused arguments and debates in the comments but most importantly it has done the job. It has advertised their company and now there are thousands of people who know a lot more about Studio Yes! Transparency is the winning formula for successful modern video campaigns. We shouldn’t be trying to imitate other businesses just because they have been judged as successful. As if to think by copying their videos and business plans that we too will be able to enjoy equal success. We are all suffering from copycat syndrome. Trying to make our businesses look like Apple or Amazon when we are working from a small office in our local areas. Stop pretending, stop being inauthentic and start being more honest and relatable in your videos. We had a look around for three businesses that we thought had employed brand transparency! Mcdonald’s has long struggled with misinformations and harsh myths about its food and ingredients. The campaign offers customers a chance to publicly ask anything and gives McDonald’s an opportunity to dispel rumors, educate customers and stand behind its products. Since they launched the campaign in 2014, they have gathered over 42,000 questions, with more than 3.8 million people reading the answers. On one occasion, McDonald’s shared video footage from inside its Canadian beef processing plant, showing that its beef burgers, are actually made from real cows. All customers are aware of the fact that McDonald’s is not the healthiest food choice but they want to know exactly what food they are putting in their bodies. Southwest Airlines is a major U.S. airline that prides itself as the world’s largest low-cost carrier, proving it in the marketing campaign “Transfarency”. “Transfarency” is a company-wide philosophy in which customers are treated honestly and where fares actually stay low with no hidden fees or extra costs. Together with the campaign hashtag ‘#FeesDontFly’, the airline showcases its concept of no hidden fees or extra costs. “Being a low-fare airline is at the heart of our brand, and the foundation of our business model,” says Kevin Krone, the Vice President, “so we’re not going to nickel and dime our customers.” The campaigned gathered nearly 5 million likes on Facebook alone, setting Southwest Airlines apart from its competition and instilling trust in its customers. From the beginning, the company has been clear about its business mission to protect the environment, inspire social change and improve sustainability. They have been providing transparency throughout its supply chain by taking the responsibility on itself to ensure no harm is being caused during the making of its products. When a customer clicks on an item on the website, they then have access to a series of ‘Footprint Chronicles’ videos directly related to that product. They show each step of the supply chain, including all sewing factories used in creating the item. Or, you can see the companies general supply chain on its main Footprint Chronicles page. If a part of the manufacturing process needs to be improved, Patagonia admits it directly in the video and invites feedback from customers in how it can improve. Alongside this, they have released a Fair Trade campaign asking people “how is your clothing made?”. Encouraging consumers to consider where their clothing is made in order to create a stronger demand for Fair Trade products. The campaign video trailer highlights the current issues and has received over 100,000 Facebook views. Why not consider using a video to employ brand transparency to your business too? 5 Top Tips for IGTV/Stories! Instagram is fast becoming one of the most popular social medias out there. Just five years after the launch of video on Instagram they introduced IGTV. They say they’re evolving with the times; by 2021 mobile video will account for 78% of mobile data traffic. So we thought we’d come up with our five best tips for IGTV..
Add links in your IGTV video descriptions- any links added to your video description is instantly clickable so you can start driving traffic to your website straight from instagram. Go crazy with your hashtags- Hashtags are more popular on Instagram than they are Twitter. On Twitter, the best practice is to include 1-2 hashtags with your tweet. On Instagram, there is no such thing as too many. You can include as many as 30 hashtags in your IGTV video description to make them more accessible. If you’re worried about them cluttering your description then put them in the comments section! Ensure your videos are filmed vertically- The IGTV channel is entirely filmed vertically so yours should be too. The app mainly supports videos that have been originally filmed vertically so start filming a vertical version of all of your footage too. Promote your IGTV through your instagram story- you can upload a 15 second snippet of your video to your instagram story and provide a link to your IGTV. Or you could simply do a 15-second promo to your IGTV video and then provide a link to the video. Users will just have to swipe up to watch your IGTV video. Create IGTV highlights- the 15 second promo you just made of your video can be saved as a highlight. These will then be saved at the top of your feed when someone visits your Instagram profile. Allowing new followers to watch older videos easily. 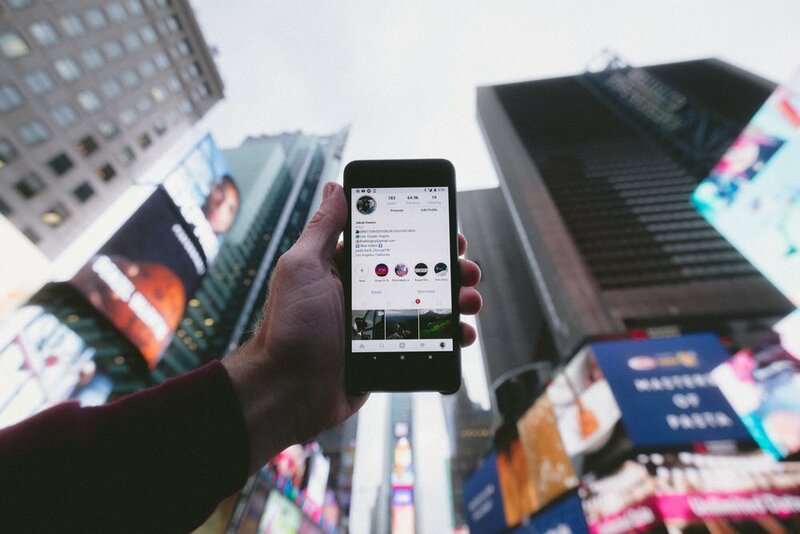 With these top tips, you may want to consider creating an IGTV for your business or just improving the way you use your existing channel. Pepsi released a statement, "Pepsi was trying to project a global message of unity, peace and understanding.” Instead the advert was widely criticised for appearing to trivialise demonstrations aimed at tackling social justice causes, suggesting that protesters and police would get along better if the former were kinder and being insensitive with regard to the Black Lives Matter movement. Among those mocking the advert was Bernice King, who tweeted a photo of her father, civil rights leader Martin Luther King Jr, being confronted by a police officer at a protest march. "If only Daddy would have known about the power of Pepsi," the tweet said. This wasn’t the first time PepsiCo have had to backpedal though, as it pulled an advert for ‘Mountain Dew’ in 2013, after it was criticised for portraying racial stereotypes and making light of violence towards women. The company started the campaign to draw attention to the "small and secretive subset of undercover policing that undermines and threatens the very idea of democracy". The company dropped the campaign after some members of the public claimed it to amount to an attack on the police. The company then added that they “fully support [police] in having proper police numbers, correctly funded to fight crime, violence and to be there to serve the public at our times of need”. However, Lush’s twitter had a 2321% increase in twitter mentions after the campaign was launched and for the duration of the campaign, sales were up by 14%. So, we have to question, was this a tactical move from Lush’s marketing team who don’t agree with advertising? The company plays on their famous slogan "The best a man can get", replacing it with "The best men can be", before showing images of bullying, sexual harassment, sexist behaviour and aggressive male behaviour. It then shows examples of more positive behaviour - such as stepping into prevent these behaviours when they happen in public. "In less than two minutes you managed to alienate your biggest sales group for your products. Well done," wrote one angry viewer. Whilst another said the ad was “feminist propaganda”. But the brand believes the new advert aligns with its slogan and says it believes in "the best in men." "By holding each other accountable, eliminating excuses for bad behaviour, and supporting a new generation working toward their personal 'best,' we can help create positive change that will matter for years to come," says its president, Gary Coombe. But as the old saying goes “All publicity is good publicity”. The only thing worse than being talked about is not being talked about. So, despite these being fairly controversial videos we are still talking about them today, so they must be doing something right! Do you agree that “All publicity is good publicity” or do you believe that these controversial video campaigns have negatively impacted these businesses?